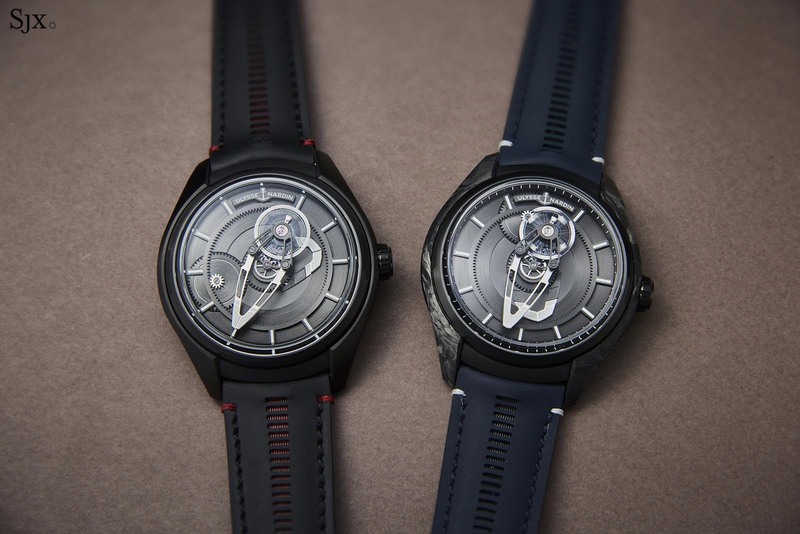 As Ulysse Nardin unveils two extreme forms of the Freak earlier this year – polar opposites in complexity and price – it is worth considering that when the original Freak was unveiled in 2001, it seemed like a battle cry in the aftermath of the Quartz Crisis, perhaps even a detour to a dead end. But in the 18 years since, the Freak has consistently, with its myriad iterations and innovations, managed to stay at the cutting edge of watchmaking. Though the simplest Freak to date, the new Freak X is arguably as progressive as its pricey cousins, offering a lot of mechanical oomph for relatively little money. Last year was in some ways a less extreme repeat of what Ulysse Nardin did in 2019. It introduced the Freak Vision, the most technologically advanced Freak up to that point, as well as the Freak Out, an entry-level model only half as expensive. 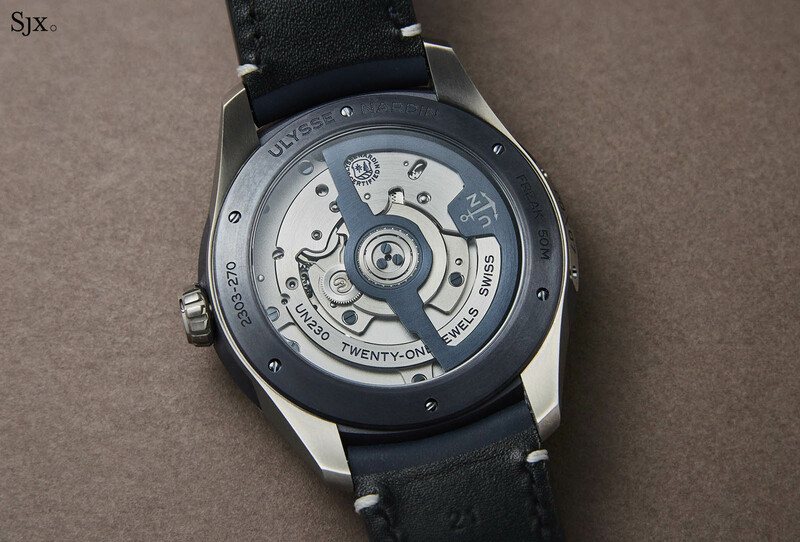 This year, the brand again rolled out two divergent versions of the watch. The first was the Freak neXt that doubles down on the Freak’s defining features with a high frequency, 12Hz “floating” oscillator in silicon. And, more surprisingly, the Freak X, a technically simplified and stylistically normalised creation that costs only half as much as the previous entry-level model. Importantly, while the affordability of the Freak X is its most obvious appeal, the tangible changes to the watch are appreciable, even clever. The watch is cheaper but doesn’t feel cheap. The Freak X neatly clarifies and captures the essence of the Freak, retaining the baguette-shaped movement that doubles as a carrousel minute hand as well as the silicon escapement still intact. But the mechanics have been streamlined and reduced tremendously, so it feels like a different watch although it has the quintessential Freak look. What was a somewhat cumbersome watch has been transformed into something more wearable, with case diameter of 43mm and much shorter lugs. The face is also eminently legible, despite the exotic time display. And more drastically, the Freak X dispenses with the traditional time-setting bezel and notched case back that winds the mainspring. Though both were defining characteristics of the original Freak, they were arguably not crucial achievements to begin, being a consequence of the original movement construction of gear train sitting on top of the mainspring. With the original Freak setup, the winding process is simply awkward and the bezel requires a locking mechanism to prevent accidental changing of the time. In their place is a traditional crown that is only for time-setting, while automatic winding requires a few shakes of the watch; the downside is that the watch cannot be wound by hand. The very heart of the Freak X is also significantly less complex. The original Freak concept devised by Carole Forestier-Kasapi imagined the gear train encircled by a giant mainspring, but after Ulysse Nardin development chief Ludwig Oeschlin refined the idea for commercial production, it evolved into the going train sitting on top of the mainspring. The mainspring was so large it practically filled the entire case. With the Freak X, things have become much more conventional. 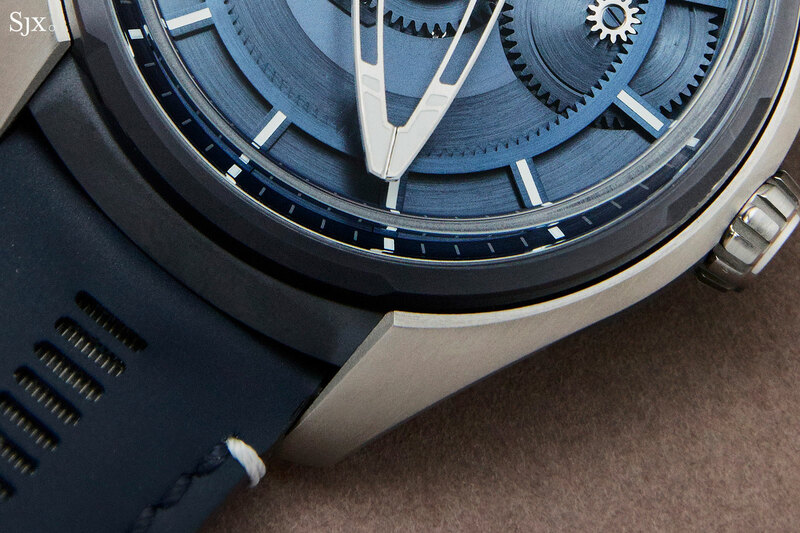 In essence, what’s inside is a conventional automatic movement with a Freak mechanism integrated into the base plate. Much of the gear train is thus hidden underneath the dial, and the carrousel contains only the balance wheel and escapement. 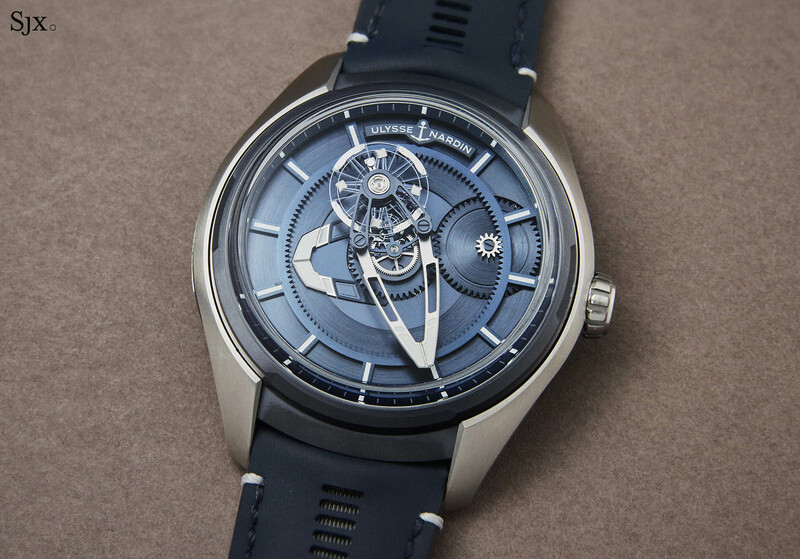 While simplified, the carrousel is still the minute hand, so the balance wheel rotates once around the dial every hour, which is no simple feat in itself. In fact, orbital escapements are relatively rare in watchmaking, and usually combined with tourbillons to create extremely costly watches. Well-known examples are the Piaget Tourbillon Relatif and Cartier Astrotourbillon, both of which, unsurprisingly, were also conceived by Ms Forestier-Kasapi. The newly developed cal. 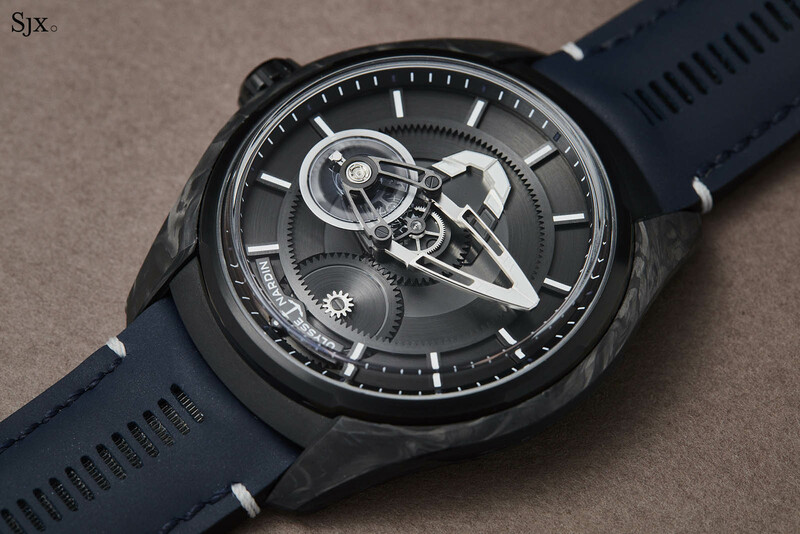 UN-230 inside the Freak X is based on the UN-118, the brand’s workhorse, in-house automatic movement that powers a good proportion of the Ulysse Nardin line-up. But the carrousel time display is modelled on that found on the UN-250 movement inside the Freak Vision. But while the UN-118 has a DIAMonSIL escapement, and the Freak Vision a constant force Anchor escapement, the Freak X relies on a conventional escapement, but in silicon naturally. At the same time, the Freak X movement is equipped with a crucial technical feature that made its debut in the Freak Vision – a lightweight balance wheel made of silicon featuring self-regulating micro-blades that use air resistance to stabilise its amplitude and increase accuracy, along with nickel adjusting weights. That means the Freak X is probably equipped with the most high-tech balance assembly in its price segment. 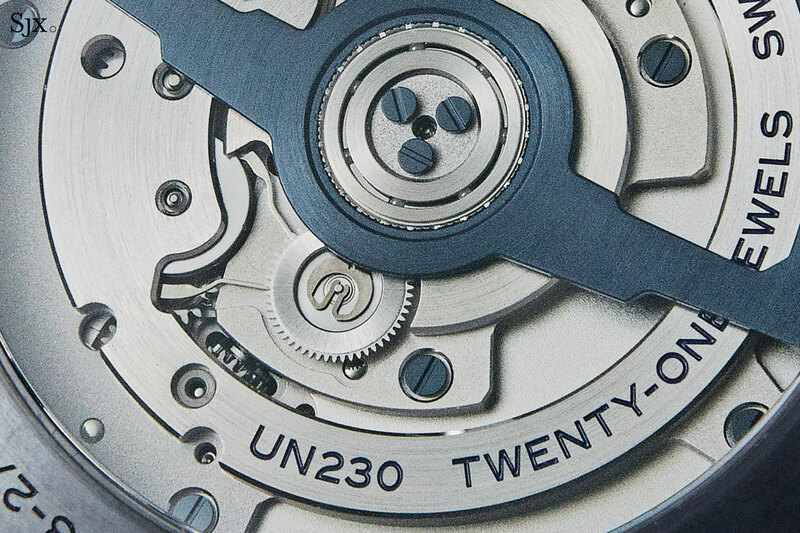 The UN-230 of the Freak X has a full rotor visible through the case back, along with the “Magic Lever” bidirectional winding mechanism that favoured for its robustness, simplicity and thinness. It offers a 72-hour power reserve, pretty much the industry norm for latest generation movements, but shorter than the seven days of the original Freak (which had a mainspring almost as large as the whole Freak X watch case). The compact movement means a watch case that is practically sized, with a more rounded form compared with earlier Freaks. 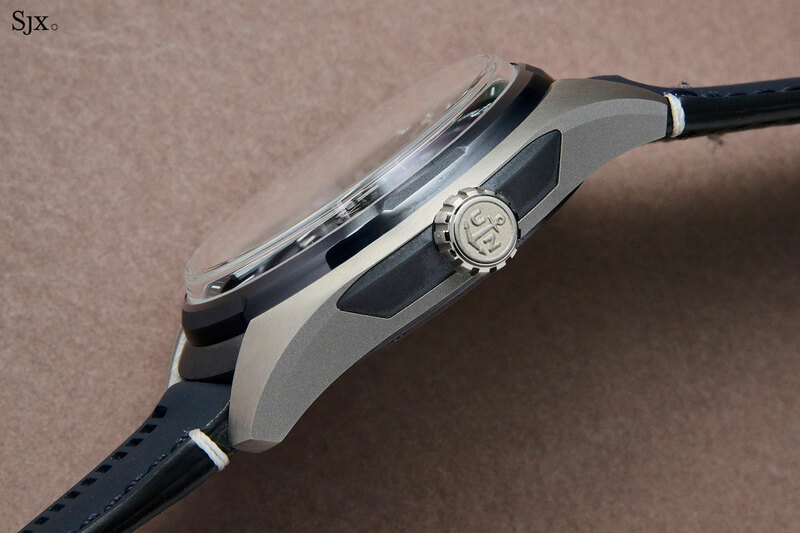 Most importantly, the case has short, gently tapered lugs that help with a good fit on the wrist. The Freak X is available in three different cases: titanium, black-coated titanium, or 18k rose gold and Carbonium, a carbon fibre composite. The material is lightweight and strong, ordinary as carbon composites go, but unusually, sustainable as it is obtained from offcuts left over from aircraft body production. 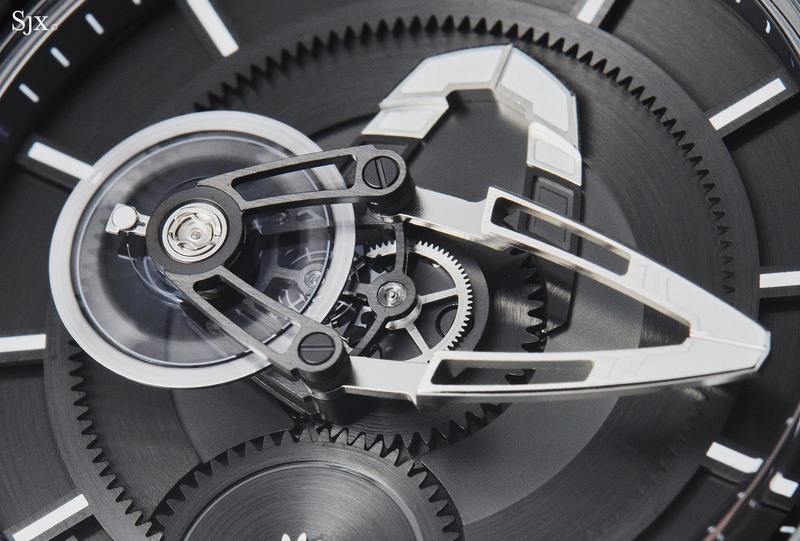 The complexity of orbital escapements (plus the frequent inclusion of a tourbillon) typically result in questionable commercial viability, as a result of correspondingly high prices. The Freak X manages to be a contrarian in that regard. While the watch is indeed a simplified version of the original, it is a compelling proposition. It cuts all the right corners in sensible manner, while keeping the essence of the original Freak (which is still a relatively underrated watch), making the concept available to a broader, and presumably younger, audience. 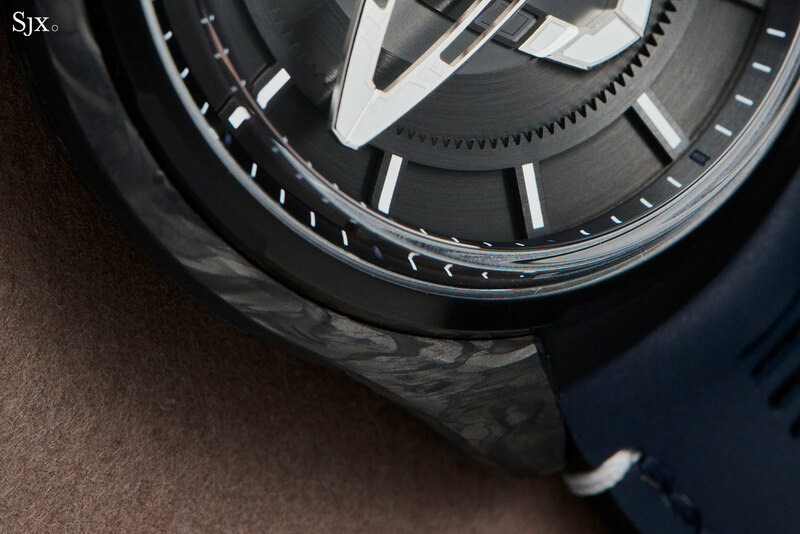 At the same time, the Freak X also manages to deliver meaningful improvements like a wearable case, a conventional and user-friendly crown, as well as the high-tech silicon balance. And the clear distinction between the hour and minute hand makes reading the time easy. [Editor’s note: I agree the Freak X is a tremendously compelling watch for the money. There’s only one thing I would change about the movement: the stud holder where the hairspring is attached at its outmost point looks plain compared to the rest of the movement. Lastly, it’s worth pointing out that the Freak X is the most affordable watch to bear the name in absolute terms – it is priced even lower than the original Freak, now 18 years old, on the secondary market.